Have you been charged with a DUI in Tucson or Pima County? Have you spoken with an experienced drunk driving attorney in Tucson? Arizona has some of the most severe penalties for DUI in the country. Consequences may include jail and/or prison time, large fines, and loss of your license. If you have been charged with driving under the influence in Tucson or Pima county it’s essential you have an experienced DUI lawyer on your side. At AZ Criminal Defense Group, Attorney at Law we offer affordable flat fees that meet or beat our competitors’ rates. Payment plans are available upon request for most criminal matters. Our DUI attorneys in Tucson are on call 24/7 to answer your questions and alleviate your concerns. Unlike larger firms, at AZ Criminal Defense Group you will work closely with a dedicated and experienced attorney throughout the process. We offer free consultations in person at our convenient Tucson location in the Transamerica building located at the corner of Church and Alameda. Phone consultations are available as well. Evening and weekend appointments are available upon request. 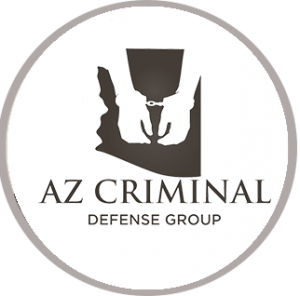 Why Choose AZ Criminal Defense Group? The attorneys of AZ Criminal Defense Group have been providing aggressive representation to Tucson and Pima county residents since 2009. With our firm you will have the assurance of knowing your case is being handled by an experienced and dedicated Tucson DUI lawyer. Call us 24/7 to discuss your case further. This is an informational website provided for those arrested on DUI/DWI related charges in Arizona. For additional information, please visit our comprehensive criminal law website.